detection and water supply pipe repairs. We provide a first class cost effective service to many varied clients including, Willmott Dixons, Nabisco’s, MC Alpines RMC and Strutt and Parker. We also carry out sub-contract work for two local water companies, a number of local authorities and various health service providers. Over the years we have worked on all types of materials including asbestos, pvc, cast iron and plastic up to 315mm. Covering the South of England, all our staff are directly employed so we have full control over every aspect of any work undertaken. This ensures our customers will receive a good quality service. Currently there are teams based in Hemel Hempstead, Chelmsford and Stevenage. 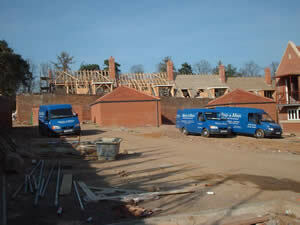 Generally we work in the South East, although we occasionally work countrywide. Our experience and expertise have ensured that we have become a trusted name with a reputation for providing an efficient and friendly service. As we are members of the Institute of Plumbing all work that we carry out is open to inspection at any time, ensuring quality of workmanship. For more information on the full range of water services that we provide please do not hesitate to contact us at any time.